Ai Weiwei unveils his largest installation to date, Law of the Journey, at the National Gallery of Prague, Czech Republic. Law of the Journey is a culmination of Weiwei's involvement in the refugee crisis over the last two years, featuring a 70-metre inflatable lifeboat suspended from the ceiling of the museum's exhibition hall, visible from several levels. 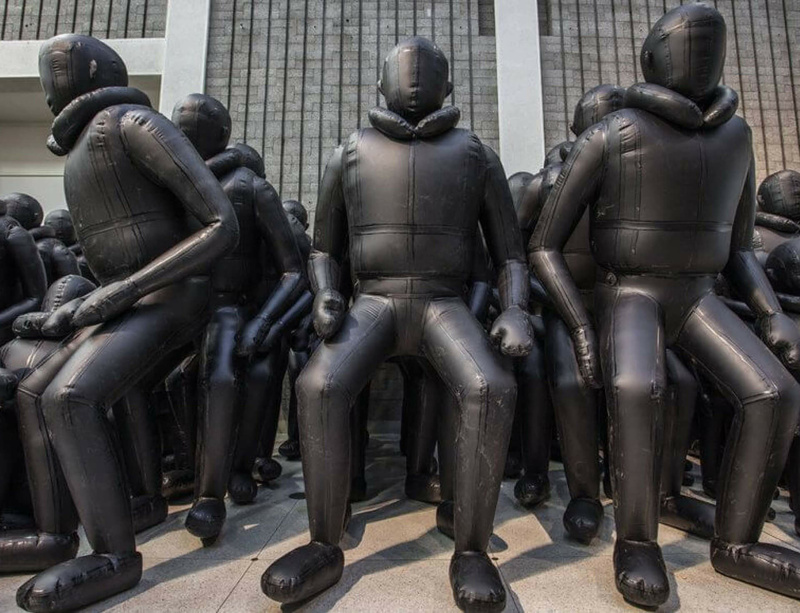 Over 250 sculptures of men, women and children, each one with individual features, appear inside the boat. The subject of the refugee crisis has appeared in many recent works by the artist, including Laundromat (2016) and Human Flow, a feature film that will premiere later this year. 'Ai Weiwei: Law of the Journey' is on view at the National Gallery of Prague from 17 March 2017 until 1 July 2018.